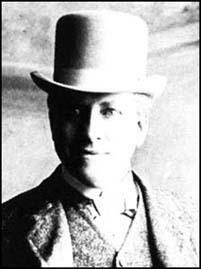 William Lever, the son of a wholesale grocer, was born in Bolton in 1851. He joined the family business when he was sixteen and five years later his father made him his partner. In the 1880s Lever became bored with grocery and began exploring the possibility of expanding into other areas. Lever eventually decided on soap and after leasing a chemical works in Warrington he started experimenting with different ingredients. He eventually settled on the formula of palm kernel oil, cottonseed oil, resin and tallow. Lever called it Sunlight soap and it was an immediate success. The Warrington factory was not large enough to supply the demand and so Lever built a new one by the River Mersey in Cheshire. The place was named Port Sunlight after the soap it was to produce. He also built a model town to house his workers. By 1895 Port Sunlight was producing 40,000 tons of soap a year. Other products produced at Port Sunlight included Lifebuoy Carbolic Soap, Sunlight Soap Flakes and Vim. Lever gave a considerable amount of money to charity and his contribution to society was recognised by being granted the title Viscount Leverhulme. William Lever died in 1925.